Ep81 – Yeager banned, HK Parts Founder jailed, MK17 selling to public. Ok. If you are reading this description, that means you are seriously considering watching this 30 minute video. 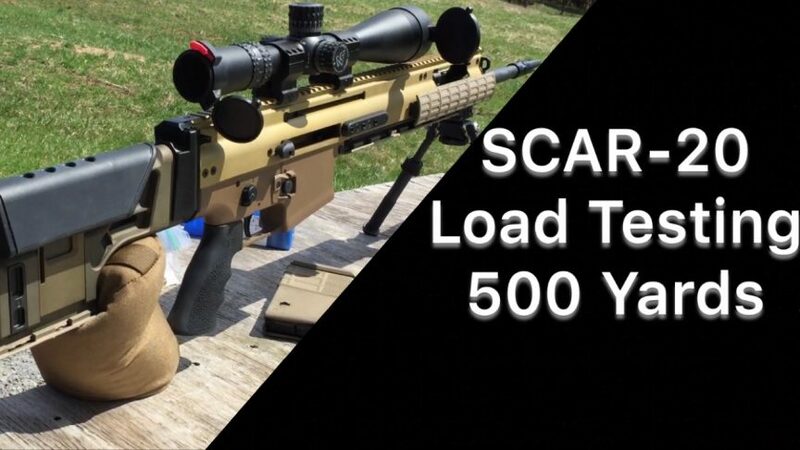 If you are interested in seeing how a SCAR-20 performs with hand-loads, you’ll likely get something out of it. If you are interested in seeing our new rifle range and how it operates so far, you might also enjoy this video. We move around a little bit. If…you are interested in listening to our thought processes as we work through the loads and holds, I suspect you will get quite a bit out of this video. However, if you are just clicking videos looking for 30 minutes of monkeys in a circus, I advise you to skip it. You don’t want to waste your time; and frankly, I don’t care about the clicks. Finally…ASYM doesn’t know us from Adam. The Armory paid pull retail for that ammo a few years ago. We have been very impressed with it. I have no idea if their current runs are still made to the same standard. No reason to think they are not. But factory ammo can be a tricky thing, which is why some shooters even ID lots like wine connoisseurs ID years a particular wine was bottled.